This year’s brackets will be graded by a different standard than in the past. It always seemed to me that since the first round had 32 games, each worth a point---making 32 possible points for Round One; all rounds should have 32 points available as well. It seemed logical; that you shouldn’t have fewer potential points to play for the longer you were correct. However, my pal Hardy dissuaded me with some cogent arguments. Hence, I have stolen a page from CBS Sports Bracket Contests that employs a risk/reward scoring system. 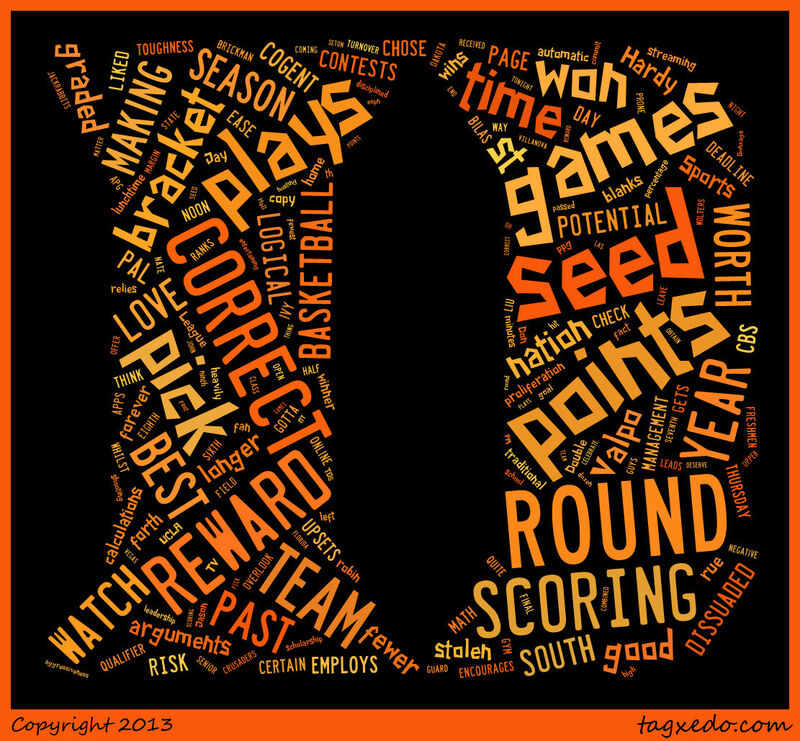 Correct picks in each round are worth the same as last year, multiplied by the seed-number. If you picked the 12 and the 5-seed won, you still get zero points. In round two, say the 1-seed plays the 9-seed and your pick, the 9-seed, upsets the top seed, your reward is 18 points (2 x 9). And so forth. I know I will rue the day I liked this method…as the calculations will take forever. So---this year, more than in the past, when I say, “check my math”---make certain you do. To give more time to fill in the blanks and for ease of management, everyone gets the four play-in games correct. Deadline to get your bracket to me is noon on Thursday, March 21st. 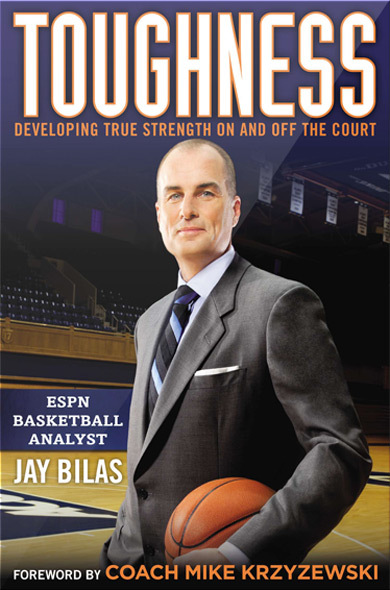 This season’s winner will take home a copy of “Toughness” by Jay Bilas. Still think the Ivy League does it best. 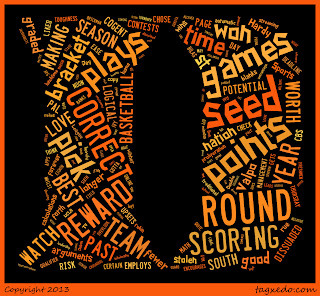 Double-round robin conference season---no conference tournament…best team is the automatic qualifier. Gotta love the proliferation of traditional TV, apps and online streaming that encourages any fan to watch any game, any time. Love the lunchtime basketball that I can watch whilst at the gym. Don’t overlook the fact that UCLA relies on three freshmen quite heavily. LIU ranks sixth in scoring with 79.1 ppg…30th in assists with 15. Jason Brickman leads the nation with 8.5 apg. Down by six with five and a half minutes left---seemed like a good time for a 16-0 run. And so Valpo played their way into the Tournament. They won 16 of their final 18 games. Valpo is eighth in field goal percentage at 48.8. They hit 55.8% from two (#5) and 37.7 from the three. You can’t leave these guys open. However, the Crusaders are turnover-prone with a negative 1.4 TO-margin. South Dakota State’s 6’4’’ senior point guard, Nate Wolters, received just the one scholarship offer coming out of high school. Last night he scored 27 and passed out six assists. The Jackrabbits are #8 in foul shooting and commit the ninth fewest fouls per game. Their 10.3 TOs a game is the nation’s seventh best. This is a disciplined team with good upper class leadership. How about the aggressiveness of Las Vegas in hosting four conference tournaments? There still may be between eight and a dozen teams in the running for #1 seeds. St. John’s and Villanova tonight at 7 PM on espn2 should be entertaining. Not so fast: Gonzaga plays anyone, anywhere, any time. It won’t matter whether they obtain the #1 seed they deserve or not. One more thing: South Florida and Seton Hall had to go to OT to score a combined 88 points. My-oh-my. You made it to the end -- celebrate by watching some basketball.